Riding the Trans American Trail in 2015. Dad and sons. We completed the Trans American Trail! 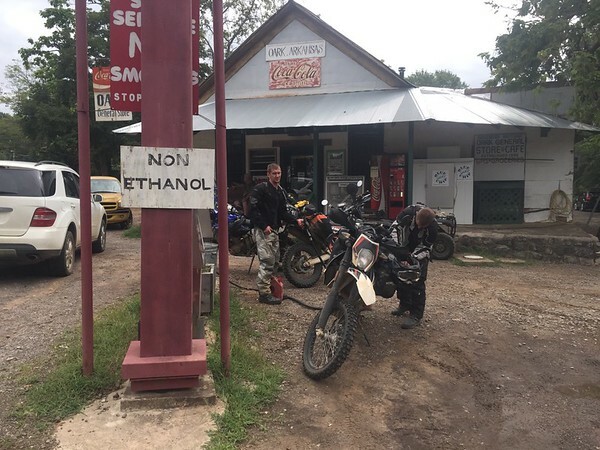 What TAT ride report would be complete without a picture like this……. 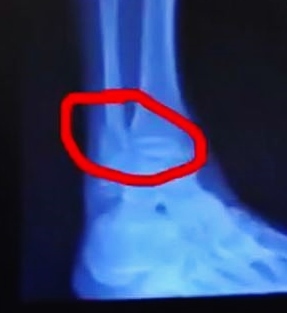 The official diagnosis is a displaced fracture on the tibia, Jon has a broken leg…….. Yes, we made it home but not without more adventure…. I suppose that’s why they call it Adventure Riding. I’ll try to catch up on the last three days of our journey. The nice thing about KOA campgrounds is the showers, laundry, free WiFi and this time even a pool. 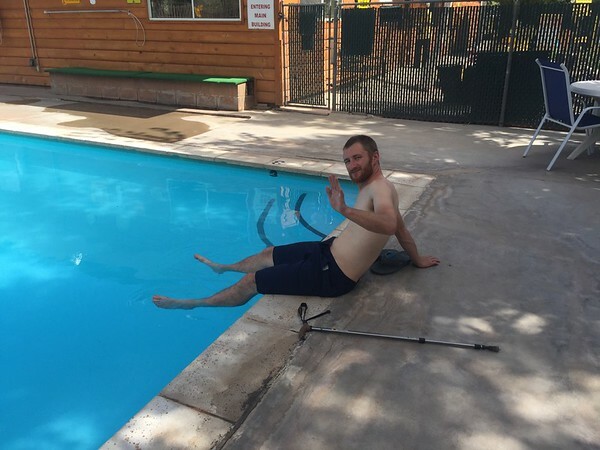 We were glad for some down time and Jon was able to soak his sprained ankle in the cool water. Thursday September 3, 2015. Salida, CO.